Leave it to Madewell to know exactly how to get us excited for this coming fall: by offering up some seriously good outfit inspiration. Today, the brand released its fall 2016 lookbook, and it's jam-packed with the dresses, sweaters, and, yes, coats that you'll be seeing everywhere in the coming months. 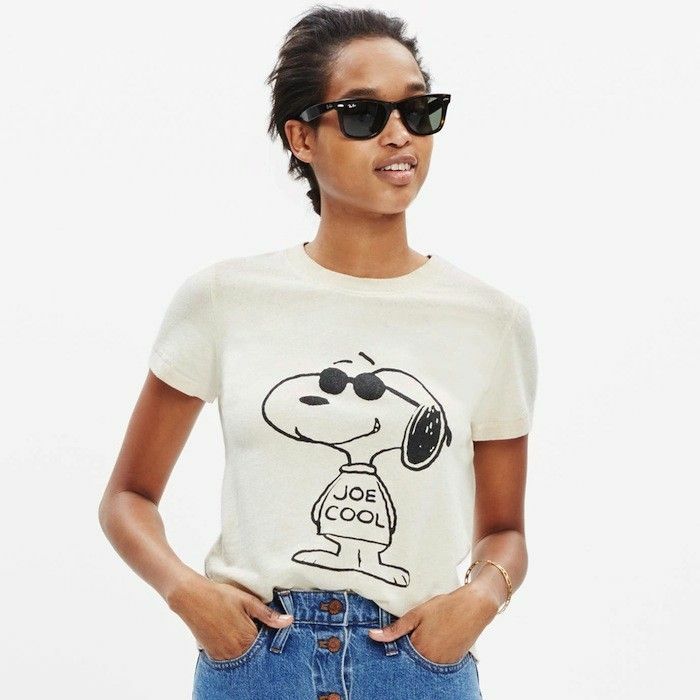 The fashionable brand is for the first time this season dipping its toes into the "see now, buy now" arena, which means good news, shoppers… You can get a jumpstart with the best summer-to-fall pieces and then add to your collection once things start to cool down a bit. 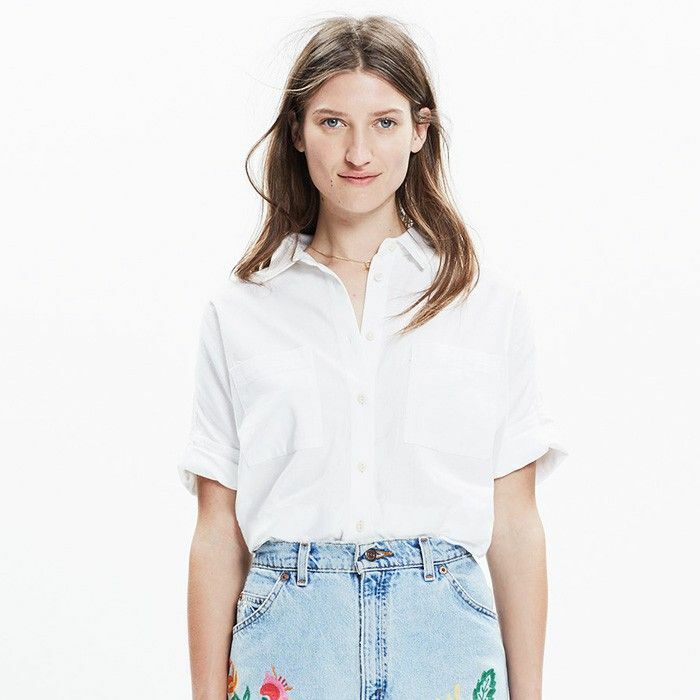 So check out how Madewell is styling fall's must-have looks (think slip dresses, stripes, and the latest in denim), and pick out the pieces you want once the collection drops July 26! Read on for your first look at our favorite pieces for fall from Madewell. A long tunic layered over skinny jeans makes for a cool combination. Don't worry, wide-leg jeans aren't going anywhere come fall. The freshest way to rock denim on denim. A genius way to wear your white jeans after Labor Day. Take a slip dress into fall by adding a flannel, beanie, and cozy jacket. Give your high-waisted denim fresh life by swapping a T-shirt for a plaid button-down. The 2016 way to wear stripes on stripes. Transform your standard jean jacket by adding cool patches and pins. Take a casual look up a notch by topping it with a polished tweed coat. Take your summer jackets into fall by layering them together. Which look is your favorite? Let us know in the comments below, then head to Madewell to shop what's new right now!